In the weeks leading up to ADE Tech we will be presenting five companies that are all very much worth taking notice of. We believe they and their technology could change the music industry of today, and the next 12 months will be the most important for them as they try to make that happen. The winner will be followed through all its highs and lows over the next year via the ADE Blog, but in the meantime come and check out these highly promising ideas at the final of C2W on Thursday on the main stage of De La Mar starting at 12.00. The winner will be announced at the end of the session at 13:30. After our recent updates about the start-up challenge, round one of Companies to Watch and a year in the life of the previous winner Muzooka, we continue with the second batch of finalists. According to Pacemaker, from now on the music never stops with a perfect mix that will go on and on. The people behind Pacemaker are on a lengthy and serious mission to innovate mixing for consumers. Already winners of a RED DOT design award back in 2007, now, over 10 years further down the line, they have advanced their technology with AI, focusing on consumer apps. At Pacemaker the mix is the playlist 2.0. A mix holds the perfect order of tracks, seamless transitions and narrative that takes music consumption to the next level. Pacemaker has proven it’s AI DJ generates similar results to top DJs, plus it can take successful personal playlists like Apple's Chill Mix and Spotify's Daily Mix and turn them into personal professional quality mixes for everyone. Pacemaker’s Metamix technology enables mixes to be created and consumed with Spotify streams, not files, making sure everyone is paid their fair share. Today Pacemaker has almost 5 million downloads on its apps and with through its newest releases expects the next 12 months to grow harder than ever. The goal of the crew at MXX is to allow you to add the right music to any video in a heartbeat. 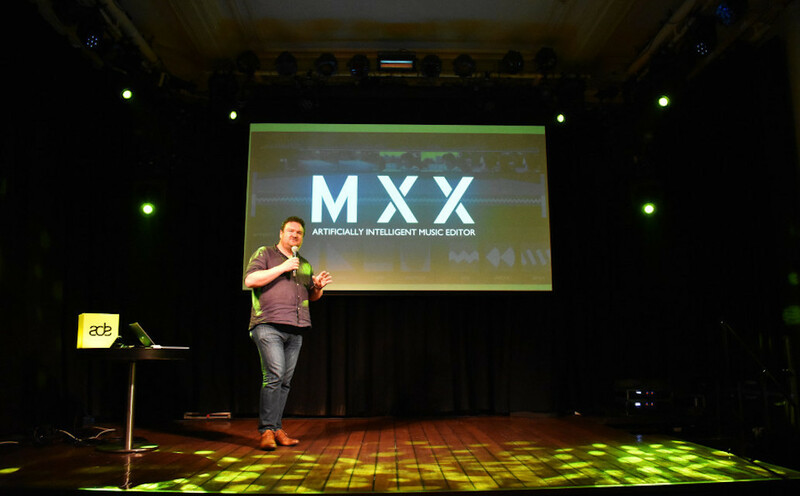 MXX’ technology is aimed at anyone creating content who needs music to be more interactive and flexible. With MXX, music can be adapted to perfectly wrap around certain experiences such as user-generated video content, workouts and runs, computer game dynamic narratives and media viewing of dynamic lengths. MXX is a creative AI technology company and has built an AI engine that atomises, re-constructs and edits any music to video, instantly. This allows creators everywhere to add amazing commercial soundtracks to their videos through a simple, totally intuitive desktop application. Now, anyone can simply create a brief against short form video with intensity rises, fades, dropouts and climax points, load any track, and immediately listen to the track edited to the brief. MXX’ goal is to be the go-to resource for anyone who wishes to audition, add or edit music to any video or gaming content. This will have a serious impact on all video creatives around the world, all the music buying channels, game creators and most importantly musicians and consumers around the world to get to a pro level of video/music creation.